When you’re invested in making sure your dump trailer, flatbed and utility trailer stays in great working order for years to come, you need knowledge and skill you can count on. Our highly trained technicians are dedicated to maintaining and servicing your PJ Trailer so you can get the most out of your purchase. 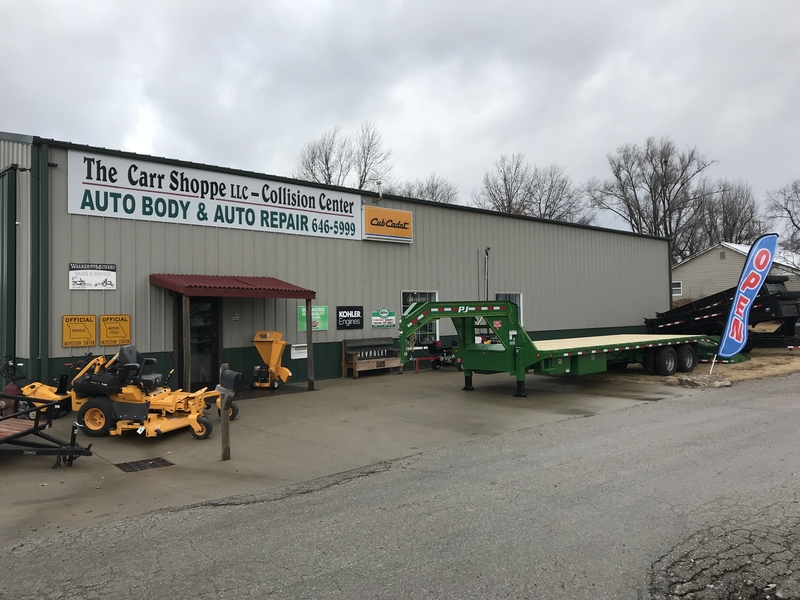 Here at The Carr Shoppe LLC we know that you have a destination and a deadline, and we will help keep your trailer rolling. Reliability is critical when there’s a job to do, and we have the equipment and experience to get your dump trailer, flatbed, and utility trailer back on the road. Give us a call and we'll get you in and out of the shop in an efficient and timely manner. We can help you keep your PJ Trailer in pristine condition! If you have any questions or concerns about your dump trailer, flatbed, and utility trailer, feel free to call us at (660) 646-5999 and we’ll be happy to help you over the phone or assist you in making an appointment. Come talk to us about how to best maintain your investment and learn more about our available services! Call, visit, or contact us today. We’re here to help. We provide free estimates for any type of damage incurred by collision or non-collision incidents. Call (660) 646-5999 or fill out the Service Request form to make an appointment.